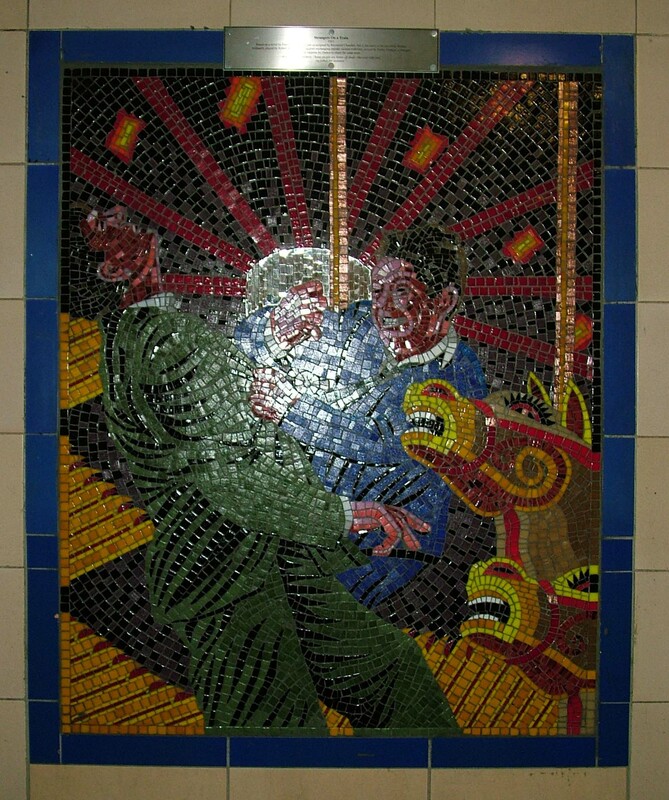 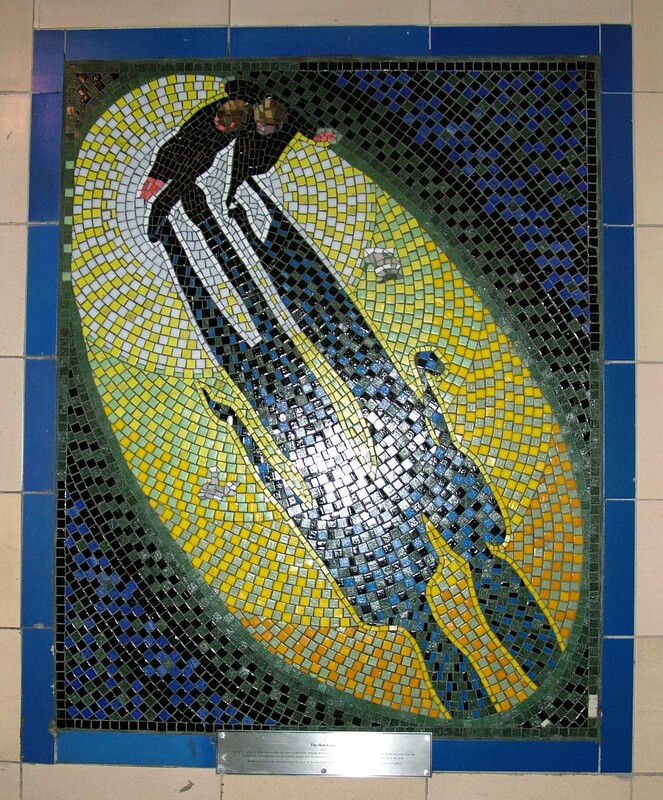 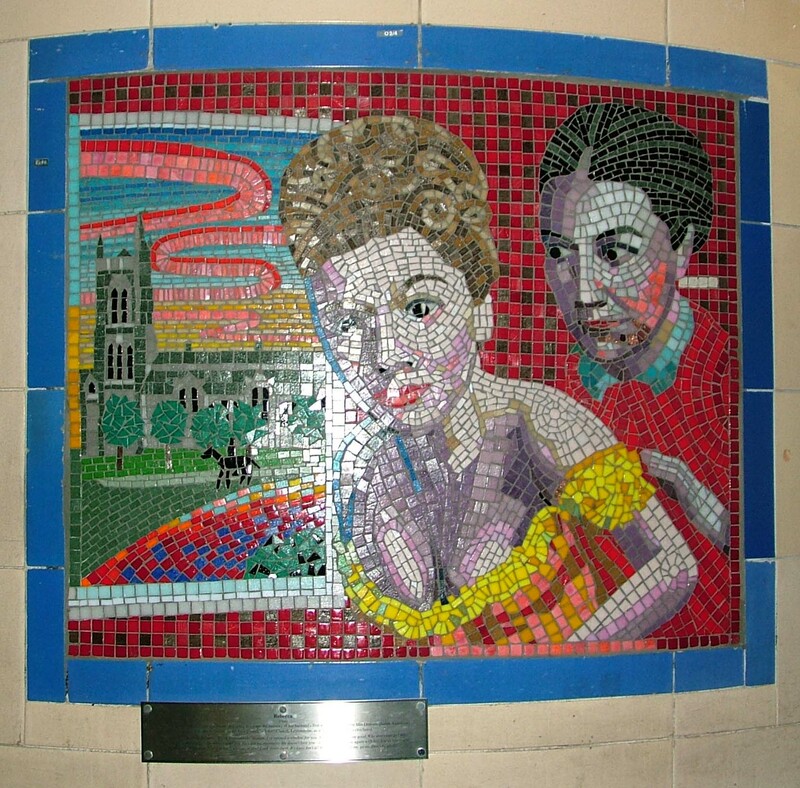 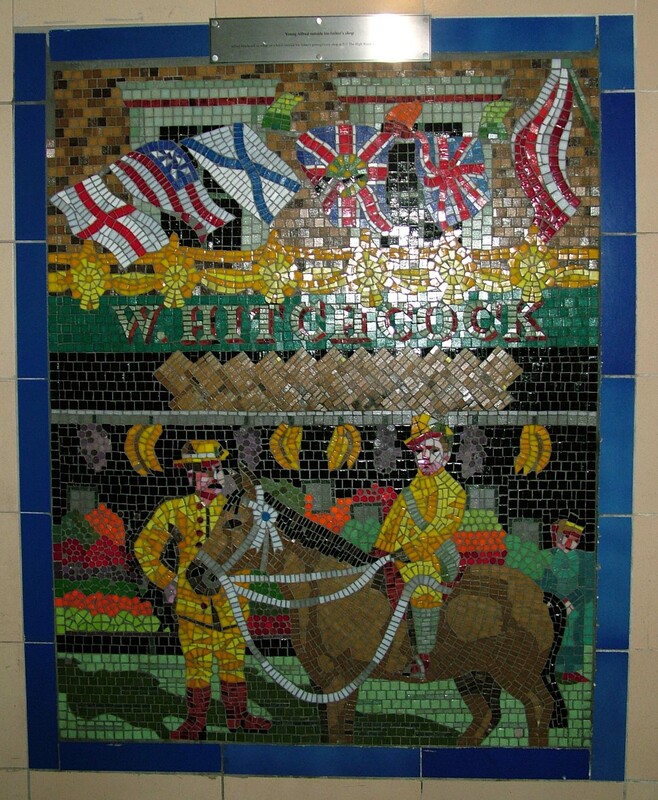 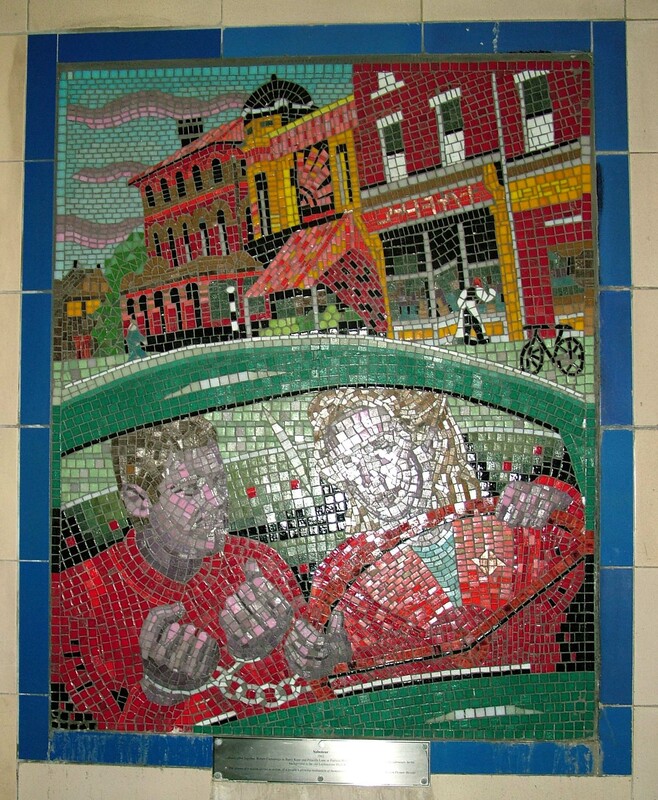 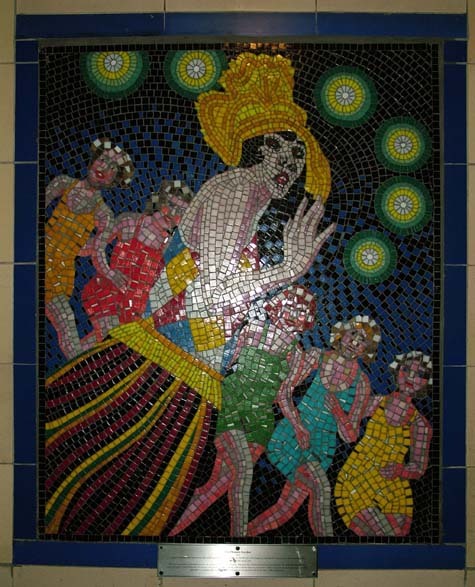 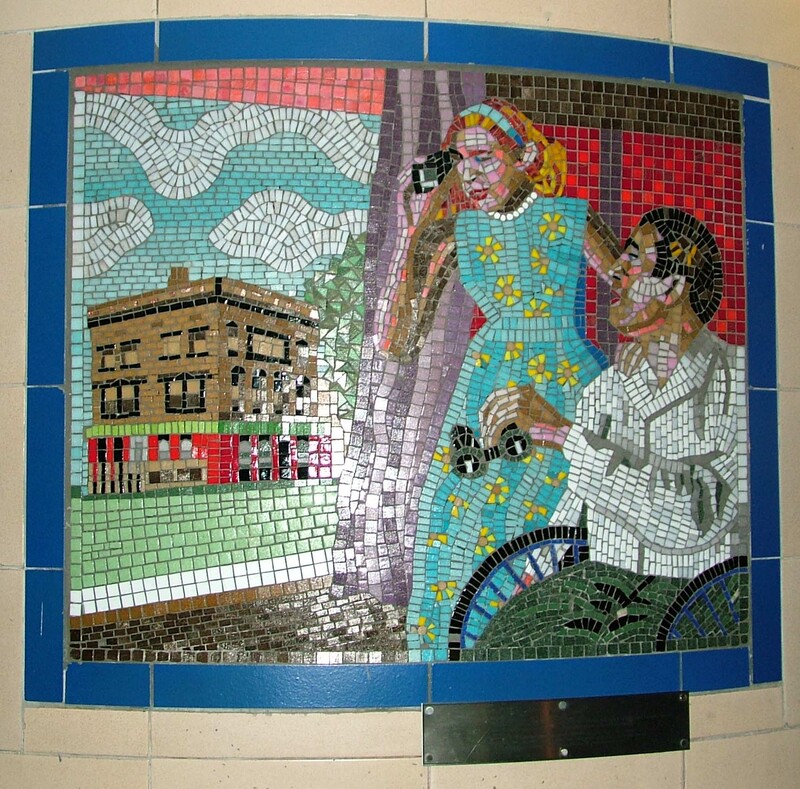 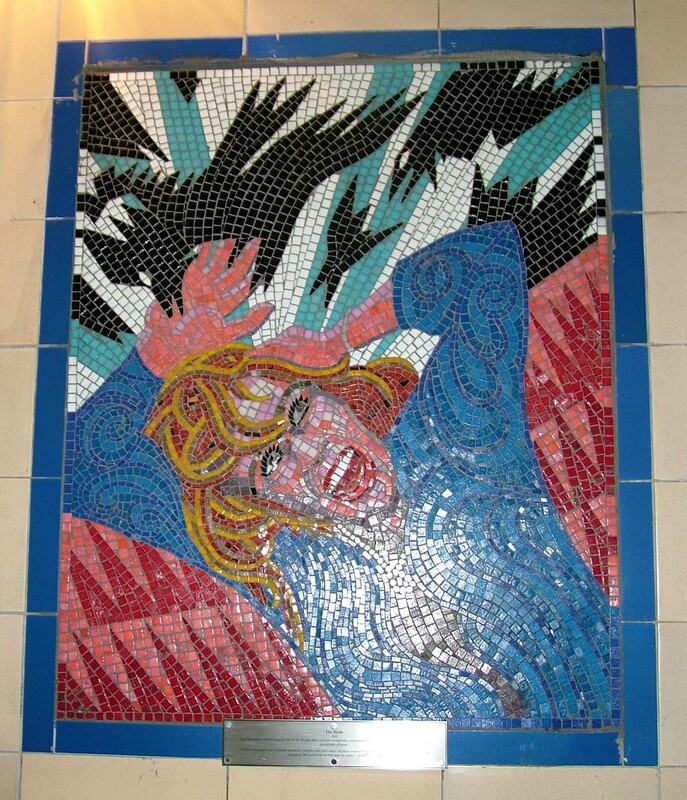 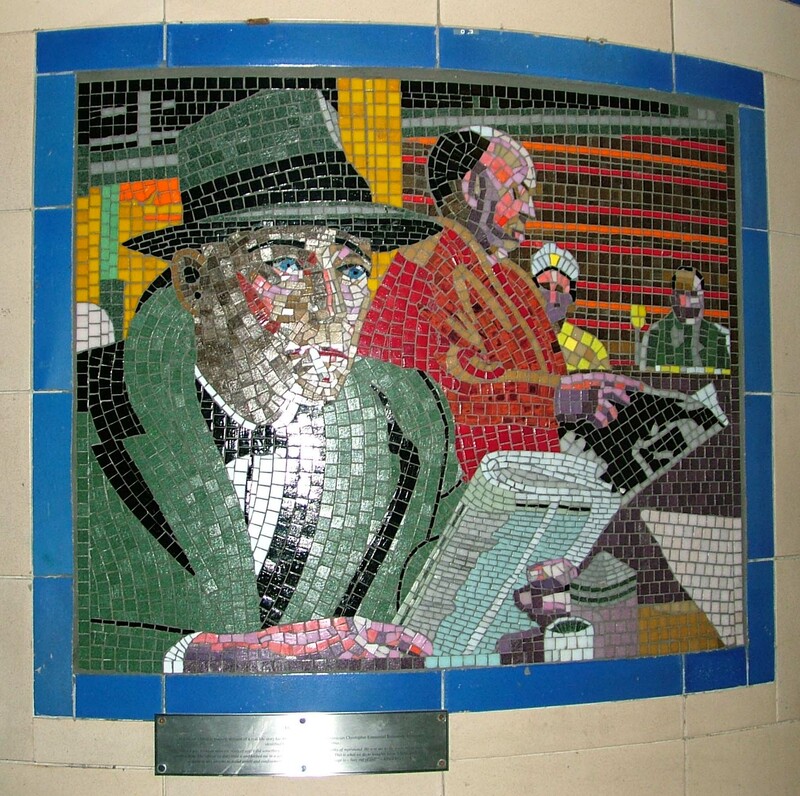 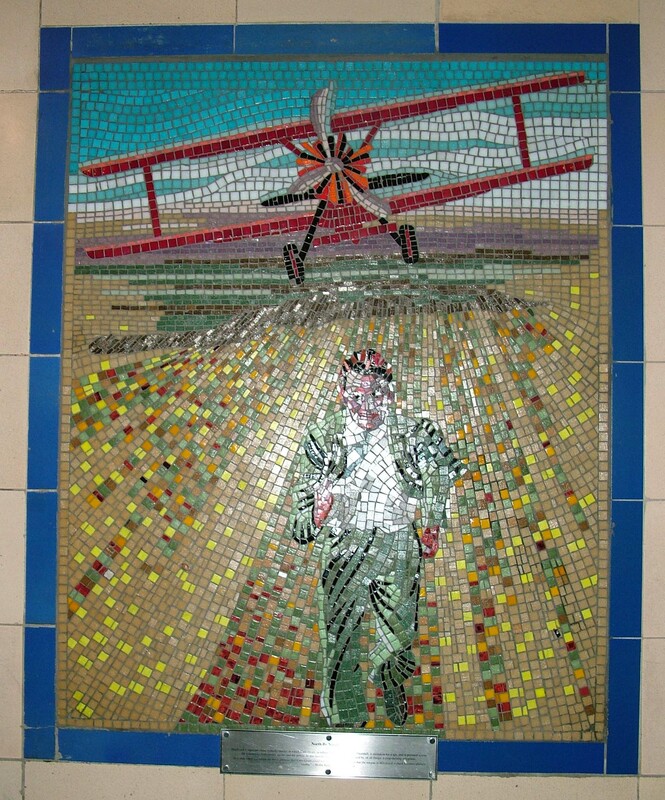 In Leytonstone underground station are a series of 17 mosaics, in the passageway linking Church Road and Gainsborough Road. 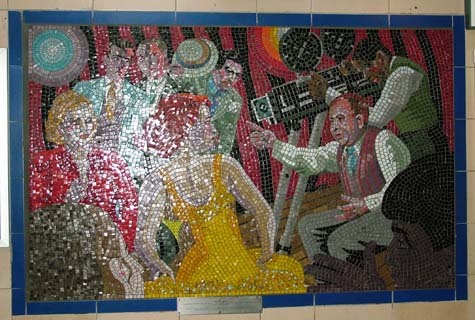 The mosiacs are Alfred Hitchcock themed - 14 depict scenes from his films, one shows him as a child outside his parents' grocery shop in the High Road, one shows him at work as a director, and another shows him relaxing. 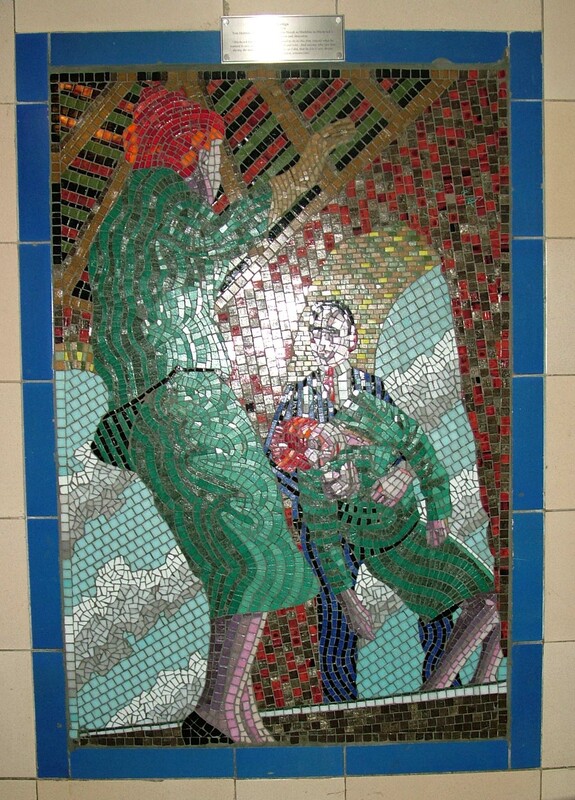 Each mosaic has an information plaque next to it. Some were hard to photograph - the light levels in the tunnel are quite low, requiring use of flash, and some mosaics are on curved walls - but each scene should be recognisable to a Hitchcock fan! 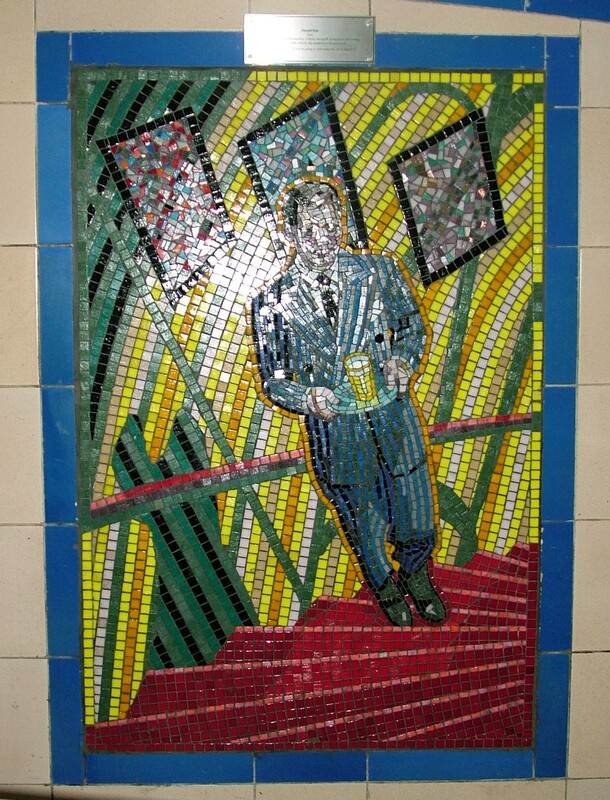 The full size image of each is rather large, you can zoom in to see every tiny tile and to read (some of) the plaques. Hitchcock as a child, on a horse outside his parents' grocery shop. Hitchcock relaxes with Marlene Dietrich. 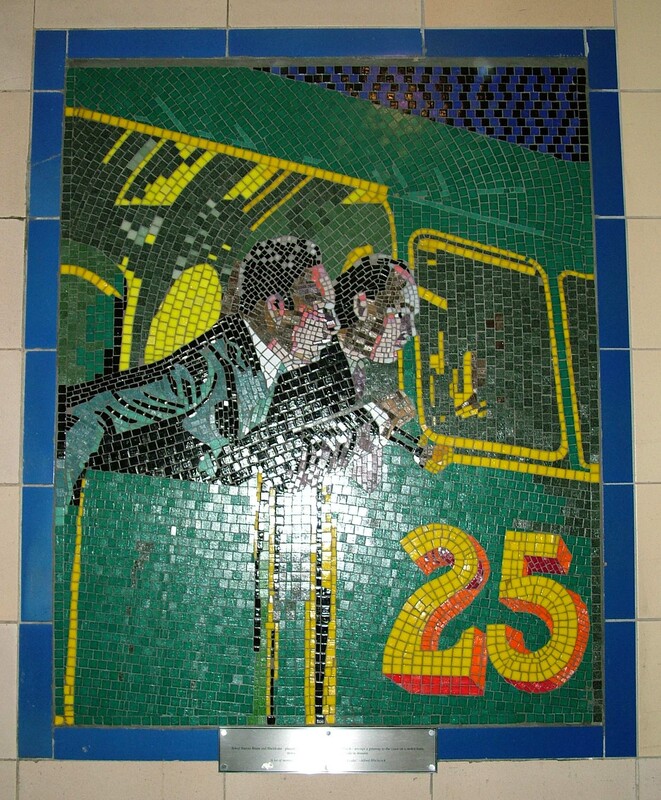 Scene from Strangers on a Train. 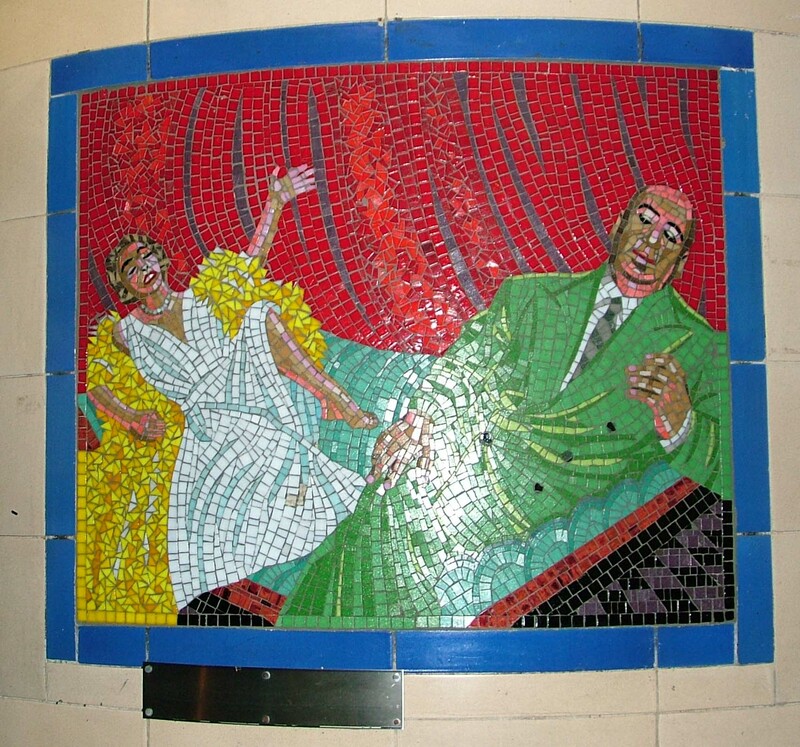 Hitchcock directs the famous shower scene from Psycho. Scene from The Skin Game. 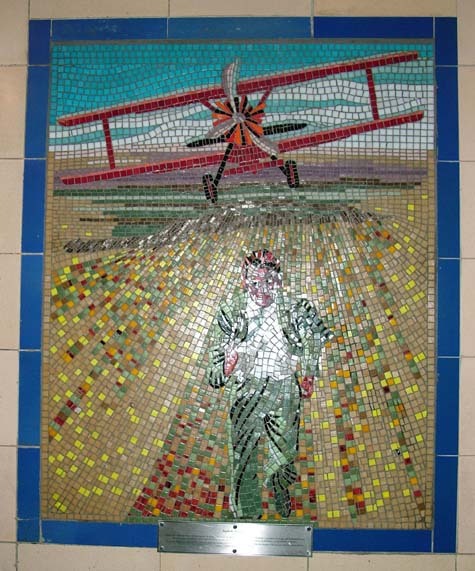 Scene from North by Northwest. 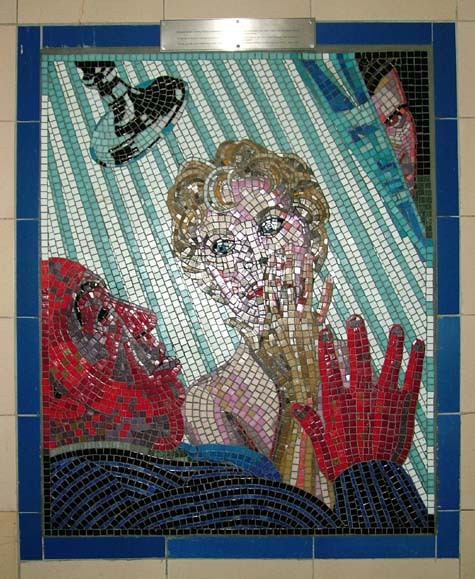 Scene from To Catch a Thief. 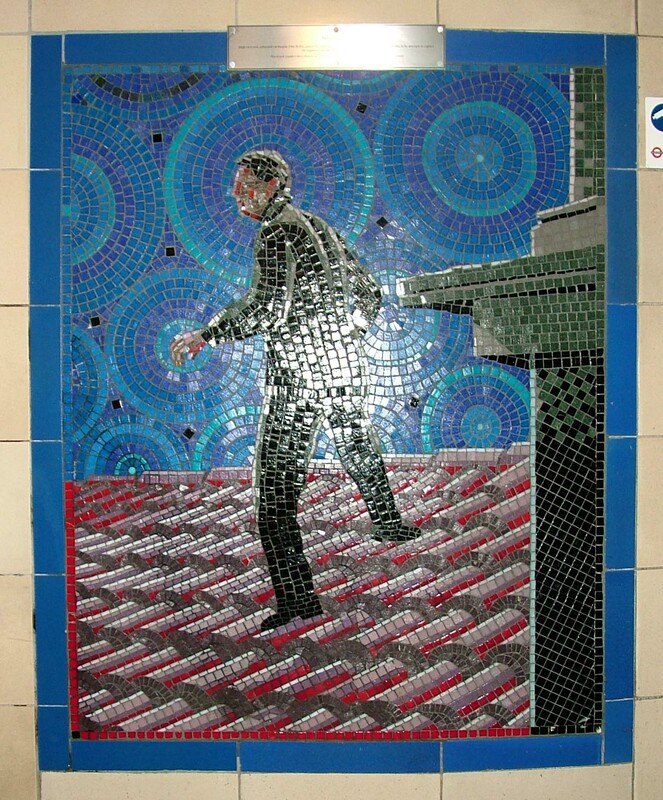 Scene from The Wrong Man.